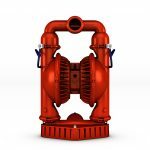 Featuring superior flow rates and easier installation compared to other brands. And they “fit” bolt-to-bolt and pipe-to-pipe within existing fluid-handling piping systems. Bolted configuration ensures total product containment while offering the highest flow rates to maximize output and efficiency. 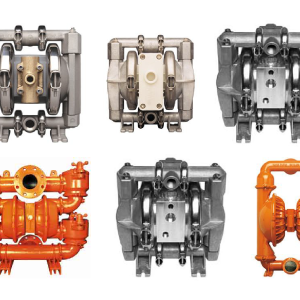 Advanced Metal AODD pumps come with flanged connections and are not compatible with Wilden Original Metal AODD pump threaded connections. 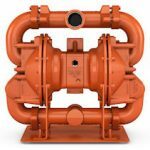 A variety of elastomer, flange and specialized air distribution system (ADS) options are available. Bolted configuration ensures total product containment while the optimized liquid path reduces internal friction to maximize output and efficiency. 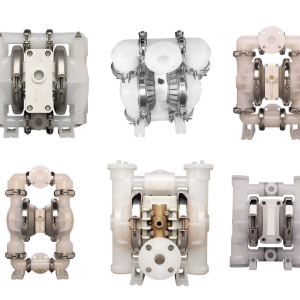 Advanced Plastic AODD pumps come with flanged connections (except for ½” size) and are not compatible with Wilden Original Plastic AODD pump threaded connections. 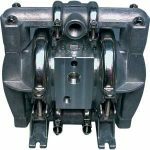 The one-inch Advanced Plastic pump comes available with a threaded center port option. A variety of elastomer, flange and specialized air distribution system (ADS) options are available. Clamped configuration and robust design for demanding utilitarian liquid-handling applications that require long-term reliability without sacrificing ease of maintenance. A variety of elastomer options are available. 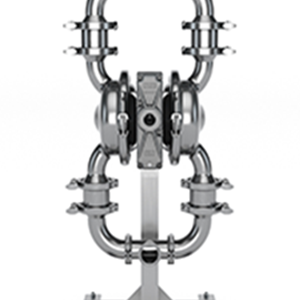 Clamped configuration and robust design for demanding utilitarian liquid-handling applications that require long-term reliability without sacrificing ease of maintenance. 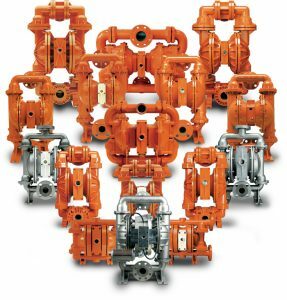 A variety of elastomer options are available for the Wilden Original Plastic Pumps. 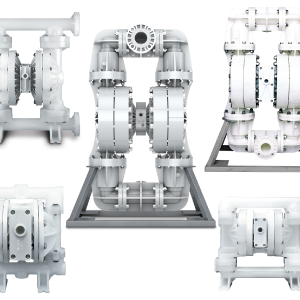 FDA, USDA, 3-A and ATEX-compliant for sanitary process applications, Saniflo™ HS pumps incorporate a straight flow-through design for large solids passage and come in CIP (clean-in-place) and COP (clean-out-of-place) configurations. Provide maximum solids passage with enhanced durability, rugged design and outstanding performance for the toughest applications. Transfer solid-laden slurries safely and effectively in mining and other operations requiring efficient transfer of solids. Provides durability, portability and ease of maintenance. 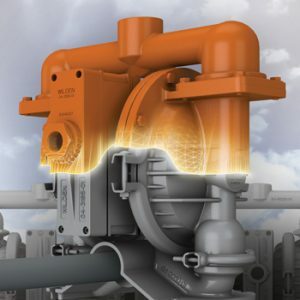 Wilden has also developed state-of-the-art Air Distribution Systems (ADS) that significantly increase pump productivity by reducing air consumption and maintenance for the most energy-efficient pump operation possible. 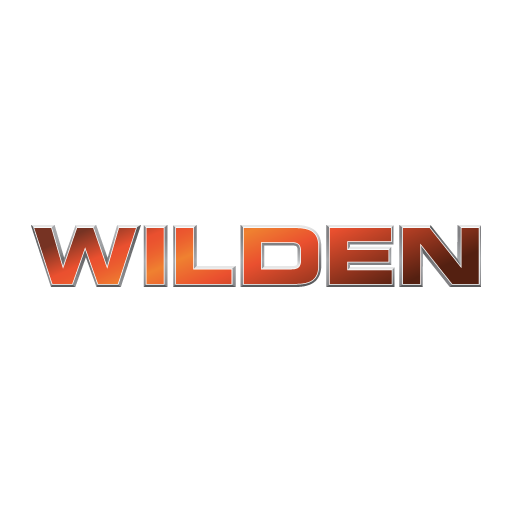 Repair kits using genuine Wilden parts are available to maintain optimal pump performance and preserve Wilden factory warranties. 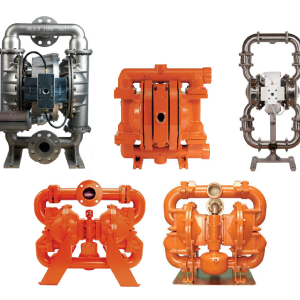 For over 80 years, John Brooks Company has proudly been your Spraying Pumping Filtering Systems Specialists, providing innovative engineered products to vital Canadian markets. 1-877-624-5757 for the Office Nearest You. Please complete the following to register and receive the latest news and product information from JOHN BROOKS COMPANY LIMITED.